Whether or not your team advances to play in either a Kentucky or Southern Championship, you should still plan to attend if you can. Both championships have a fun atmosphere where you can socialize with so many of your friends and opponents from throughout the year. 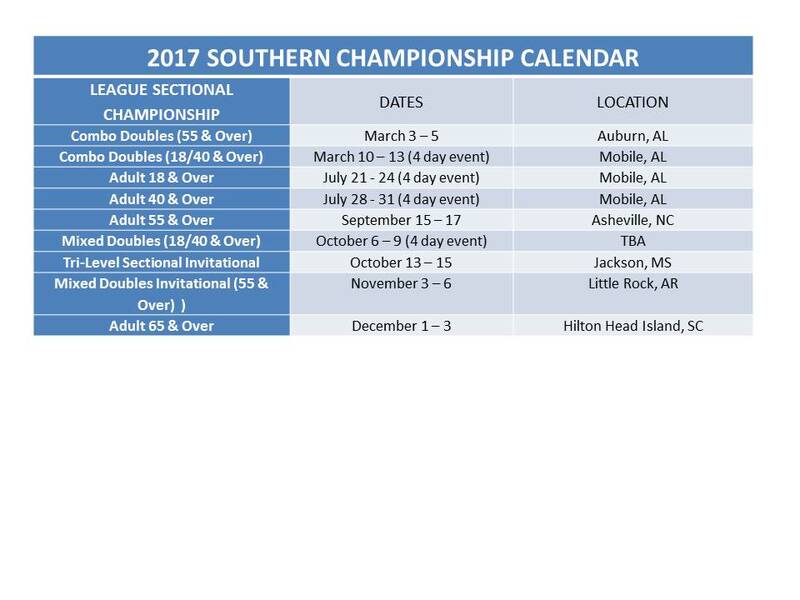 To check out all the dates and locations for the 2017 League season, see the schedules below. Please note the four day events. 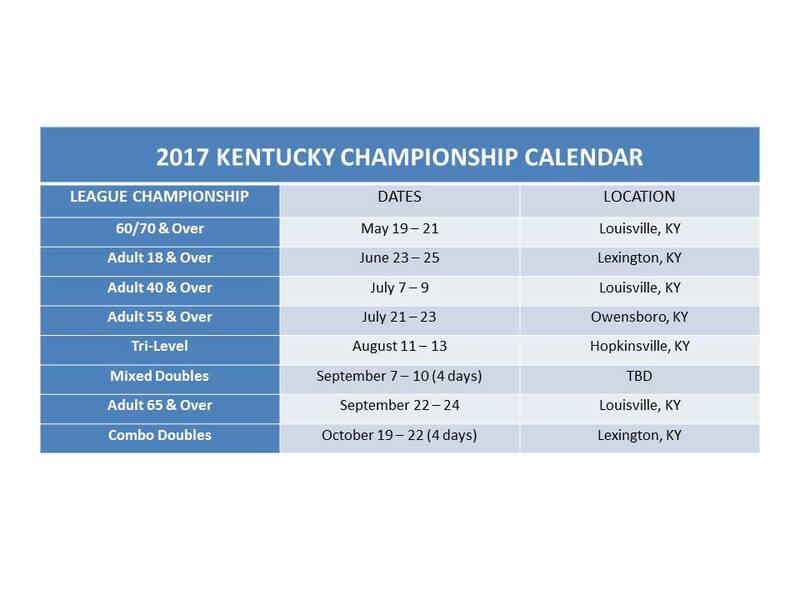 For Kentucky Championships, these events will start on Thursdays for local teams. For example Mixed Doubles teams that are from the local area where the championship is being played will play each other on Thursday evening. Kentucky Championships have something for everyone! The Vendor Village is in full swing each day of the event. Clothing, tennis gift items among other merchandise can be purchased at the Vendor Village. Not to mention the great tennis that you can watch!